An organization opposed to a Nov. 8 metro Detroit transit tax ballot proposal claims that the Oakland county officials who requested a report on the measure have done too little to alert residents to deep problems that report reveals. 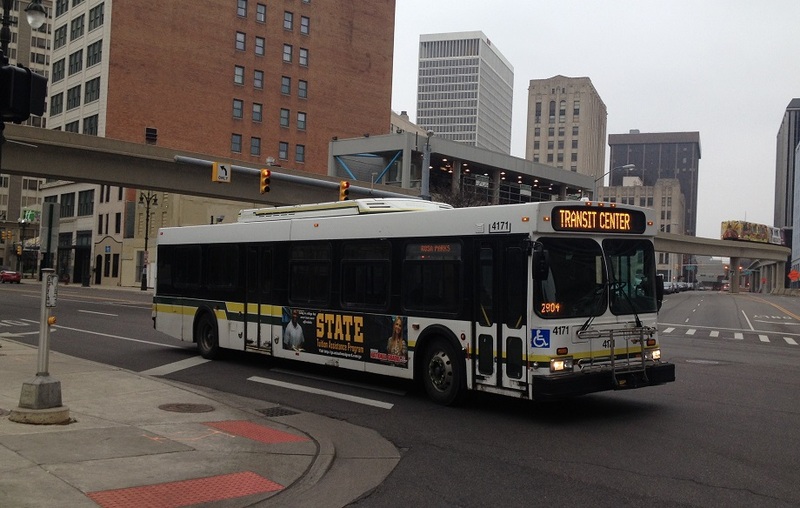 Oakland County released the “Business Issues in the Regional Transit Authority Master Plan" report on Sept. 19, with a Sept. 26 follow-up that added responses from the RTA Board. But according to a press release from No Massive Transit Tax, an organization opposed to the RTA’s plan, Oakland officials have failed to bring their critical report to the attention of the public. On Nov. 8 voters in Washtenaw, Wayne, Macomb and Oakland Counties will have their say on the 1.2 mill property tax hike, which is expected to cost regional property owners $4.6 billion over 20 years. The money will be used to expand municipal bus service. Oakland County’s review of the RTA’s spending plans cited “numerous financial flaws,” and says it fails "to understand basic property tax statutes." The office of the county Executive asked the RTA what kind of return residents could expect from the increased spending, and when the benefits might be expected. “This budgetary assumption approach is overly simplistic, erroneous and demonstrates the lack of understanding by the RTA administration of the Michigan property tax statutes,” the analysis says. The No Massive Transit Tax group says the county should do a better job informing residents of shortcomings in the RTA’s plan and projections, especially its estimates of how much Oakland taxpayers will really pay. "Oakland taxpayers paid for that report and will pay for the mass transit tax hike if it’s approved," said Leon Drolet, treasurer of the organization. "Oakland County elected leaders have a responsibility to inform voters of the very severe flaws in the RTA plan identified by this report. " Officials did not sit on the report, but were responding to a request from the county board, spokesman Bill Mullan said. The report was intended to be used for talking points for board members to use in public. “The chairman and other members of the Oakland County Board of Commissioners asked the county executive administration for an updated briefing on the RTA plan as they do on many business issues that impact the county. Deputy County Executive Robert Daddow submitted a report last month in response to that request,” Mullan said in an email. Mullan noted that the county is neutral on the RTA’s proposed tax. The Daddow study suggests that RTA has understated the proposal’s cost to Oakland taxpayers over 20 years by underestimating future growth rates there. RTA says Oakland home and business owners will pay $1.222 billion more for the expanded bus services, but the study estimates the actual amount to be extracted is closer to $1.798 billion, a $575 million discrepancy. The report also states Oakland communities will not see much payoff despite paying millions in higher property taxes. The No Massive Transit Tax group says the transit plan will create more traffic congestion in the metro area because road lanes will have to be closed for bus use. Also, that the spending will squelch transportation innovation. “Some cities are contracting out transit services to Uber, Lyft, and others that provide more efficient service, while this proposal spends billions on old tech like buses and rail,” the organization says.